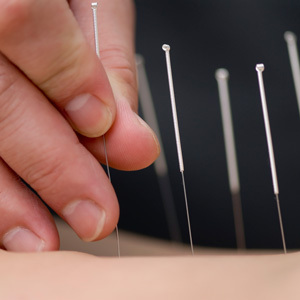 If you have been experiencing physical pain or mental concerns such as anxiety, depression, stress or emotional disorders, acupuncture may stimulate your body’s healing. Dr. Backhaus uses a combination of musculoskeletal and traditional acupuncture depending on the condition or treatment goals desired. By utilizing both approaches, he works with the meridian points of the body as well as areas of pain. Auricular therapy and cosmetic acupuncture are also available. Acupuncture and traditional Chinese medicine have been used as treatments for over 4,000 years. Traditional acupuncture theory is based on the vital energy, Qi, and specific meridians throughout the body. Qi is said to flow through the meridians in the body, and the meridians correspond to specific organs or organ systems. Any blockage, excess or stagnation of this flow is said to cause disease processes. 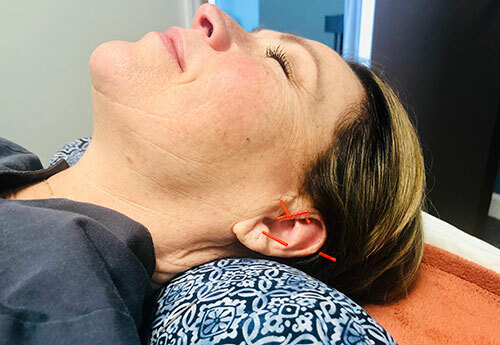 Acupuncture works by placing needles at specific points along these meridians to restore the proper flow of Qi and help the body to heal itself. If you’re taking blood thinners, we suggest you speak with your medical doctor before embarking on acupuncture treatment. Those who take Tylenol® or NSAIDs should avoid taking the medication before a session if there are concerns about bruising. People who are overly sensitive can still benefit from acupuncture by using a smaller size needle. Patients generally don’t feel any sensation during treatment, though there can be sensitivity in areas such as the hands, feet, face and ankles. Contact us with any questions or to arrange a complimentary consultation with Dr. Backhaus. Same-day visits may be available.